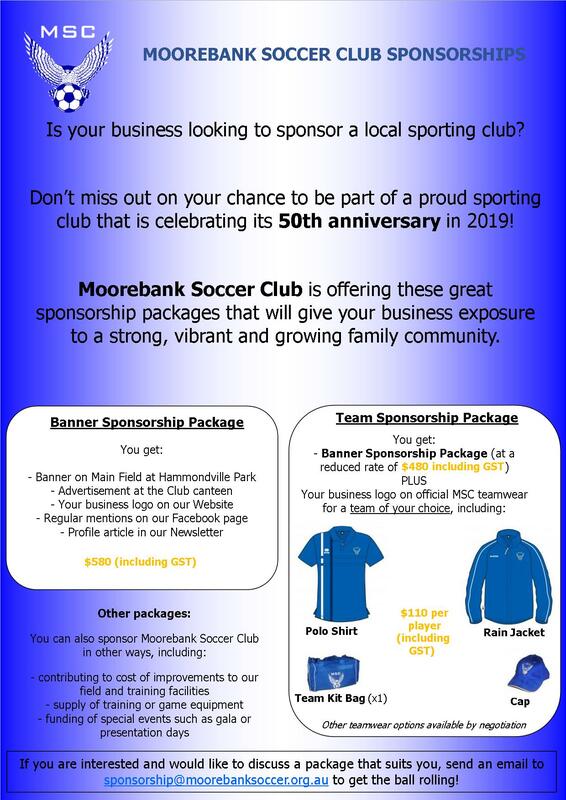 Why not advertise your business through the Moorebank Soccer Club (MSC)? The soccer grounds at Hammondville Park offer a fantastic opportunity for local businesses to advertise their brand and products or services. 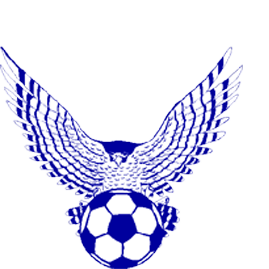 MSC is the largest amateur soccer club within the combined Liverpool/Fairfield football district, has a highly visible venue, great facilities and sports an excellent website. As such, Sponsoring MSC will guarantee your business excellent exposure throughout the season. Click on the link below for our current sponsorship packages. Support your club by wearing our supporter's gear.